The project name "NATURVATION" is short for "Nature-based Urban Innovation". In this respect, 14 European institutions will research nature-based solutions for urban areas for a duration of four years. The project is coordinated by Durham University (UK). The following research question will be examined: In which cities are nature-based solutions taken up most widely? Why are they used more widely in some cities than in others? What are the impacts of greening cities? 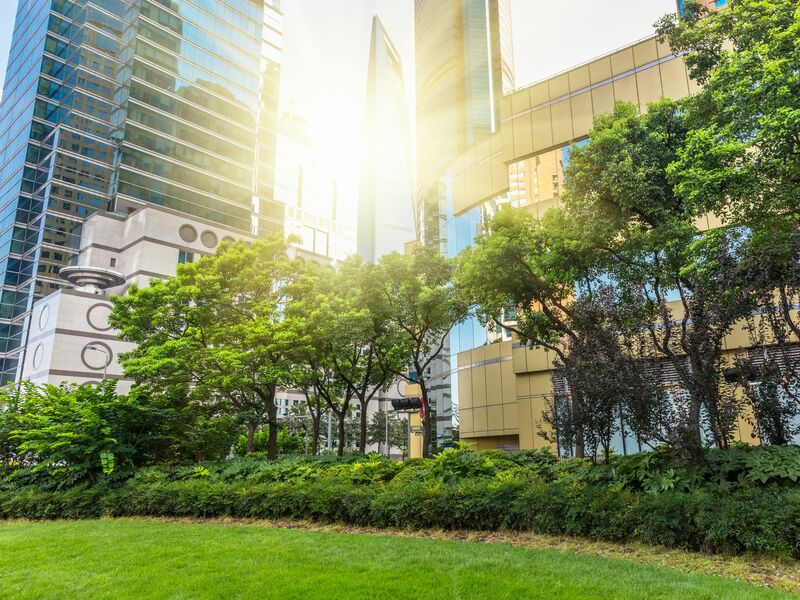 Which institutional and financial frameworks support the wider implementation of nature-based solutions and the greening of cities? An important part of the project is the collaboration with local organisations located in six European cities: Barcelona (Spain), Györ (Hungary), Leipzig (Germany), Malmö (Sweden), Newcastle (UK) and Utrecht (Netherlands). At the start of the project, the current state of the art on nature-based solutions in cities will be determined. Ecologic Institute will analyse the role that nature-based solutions play on a European and national level, and to what extent they have been implemented. An important base for the research done within NATURVATION is a database to record nature-based solutions in 100 European cities. The conceptual development of the database and its technical realisation will be taken on by Ecologic Institute. Ecologic Institute will develop a study on the legal and political framework for nature-based solutions in cities on the EU-level. Ecologic Institute will develop the project website. Furthermore, Ecologic Institute will disseminate project results, which includes writing policy briefs for stakeholders on EU-level. Thereby, Ecologic Institute will contribute to the overarching political aim of this project: an increase in quantity and quality of nature in urban areas.